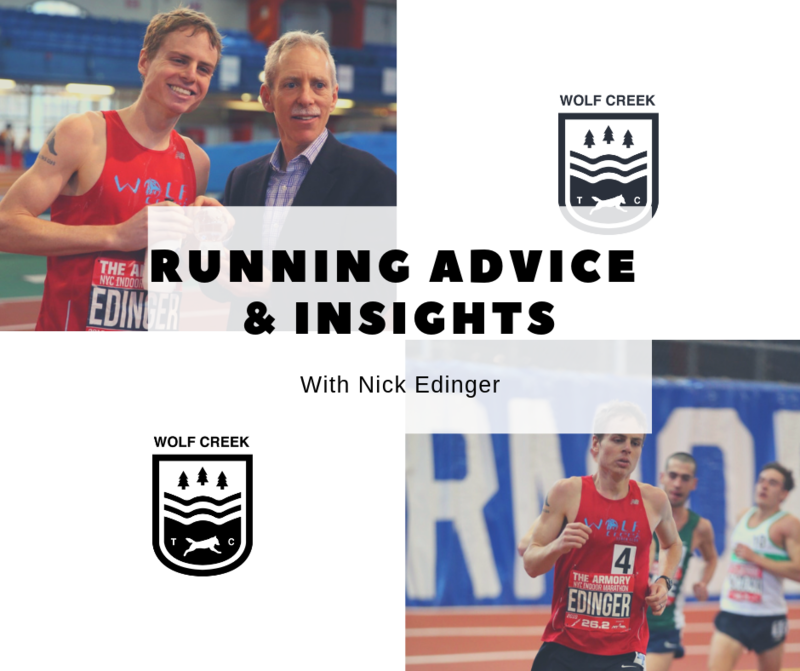 Nick answered some questions for Wolf Creek providing insights into his training and offering some advice on how to improve as a runner. How did you get started in running? Ever since I was a little kid I loved pushing my body to its limits and seeing how much pain I could endure. I think all athletes have at least a little bit of that in them. I can remember being outside playing in the yard by myself, sprinting all out trying to see how fast I could go from one point to another or see how many reps I could do. I felt accomplished and pure joy from the feeling of exhaustion. I was also one of the quickest and fastest kids on the soccer field most of my childhood and always won the gym class mile, so I could not wait until seventh grade when I could do track. I wasn’t the best at the beginning but I worked hard and absolutely loved it! What are you doing when you’re not running? Another passion I have outside of running is mental health and addiction. 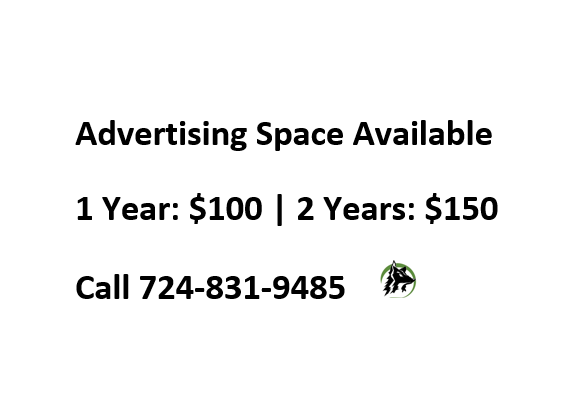 I am a drug and alcohol therapist at a local out patient rehab facility as well as a private therapist working with those struggling with addiction, depression, anxiety, and even motivation/anxiety related to performance in sport. I also do some private coaching on the side and absolutely love writing training plans and helping others reach their running goals. When I’m not running or working I am often relaxing, trying to recover from training, or fixing up my wife and I’s house/property. My favorite thing to do is just hangout and chill with my wife, family, and friends. Often that is watching a movie, playing games, or just going out to eat. What’s your standard training look like? Generally, unless it’s within two weeks or so after a major race, I’m running between 90-110 miles a week with 9-13 runs a week. In the 10 weeks or so leading up to a marathon I have done well off of alternating between 110 and 130 mile weeks with 2 workouts a week. There are times, however, where I’ll put in a stint of lower miles and higher intensity or maybe a super high mileage stint were I get over 140 miles. Anybody can search for me on www.running2win.com and read any of my training. What’s the most mileage you’ve ever done in a week? 180. Lol. My wife and I were watching a race on TV where former professional runner, Josh Cox, was commentating. He mentioned during the broadcast that during his career he had multiple weeks over 170 at one point, indicating that it was probably too much. My wife then told me that I better not ever try running that much. Naturally, and those that know me would not be surprised at this, I had to give it a try! I was already running a lot and had handled a few 140-mile weeks occasionally so I ran 160, 120, and 180 in a three-week span. I got tendonitis a month later. Lol. I won’t admit that it was from the mileage though! In high school you could run 5:30 miles for a 5k (3.1 miles). This past May you ran 5:18 miles for an entire marathon (26.2 miles). That kind of improvement is almost unheard off, how do you explain that? That’s a tough question because there are so many factors at play, but if I had to simplify it, it would be big miles and consistency in training. God has blessed me with a body that is very durable and able to handle a lot of miles in training. That’s not to say I’ve never been injured. I’ve had tendonitis issues here and there; but no major lay offs when it comes to training. I doubt I’ve ever gone more than two weeks without running or training for the last 10 years; this means I’ve always been able to build upon the training I’ve done and the fitness I’ve gained. Additionally, I’ve always been willing to take risks in training and I’ve been blessed that the majority of those have paid off; like super high mileage and big workouts. I was far from being fully developed physically in high school and was running 30-mile weeks. Over the years I’ve slowly gotten my mileage over 130 or more, so obviously that is going to lead me to improve drastically. Outside of running, I can’t emphasis enough the importance positive role models and relationships have played in my career. Keeping my faith and relationship with God number 1 keeps me grounded and striving for something that is far bigger than athletics could ever be. I have the most supportive wife in the world, incredible family, friends and teammates; and I had the best college coach anyone could ever ask for in Brian Yowler to help steer me in the right direction. Is there anything else that you feel has lead to big improvements for you? I had a big breakthrough in 2015 when I dialed in my nutrition. I have always been an emotional eater and have struggled with over eating. General eating issues and even clinical eating disorders are an epidemic amongst athletes, both male and female. In college I was eating massive amounts of food all the time, living under the old saying “if the furnace is hot enough, anything will burn.” My college teammates can vouch for the fact that I legitimately ate half a jar of peanut butter a day. Do you have any idea how calorie dense peanut butter is? Lol. In 2015, my boss and owner of Fleet Feet Cleveland, Jody Herzog, convinced me to dial in my diet. He has a nutrition degree and gave me some advice. I wasn’t necessarily restricting myself but I was eating proper portions. I stopped eating Cheez-Its, controlled my peanut butter intake, and starting eating a high carbohydrate diet to properly fuel my training. I started eating oatmeal for breakfast, and rice, beans, and veggies for lunch. As crazy as it sounds, with me already running over 100 miles a week for the past 4 years, I dropped 8 lbs and my times dropped significantly leading me to a 15th place finish at the US 25k championships that year. I still struggle with emotional eating today and I also absolutely love food, so if I don’t get a good quality burger in me once a week I go into withdrawal! Managing my diet, and applying extra focus towards my nutrition in heavy training and racing periods keeps me lean and performing at my absolute best. You’ve been pursing post collegiate running for five years now. Any advice you’d give to a young post collegiate runner looking to keep improving? Enjoy the sport and listen to you mind and body. If you’re graduating and hungry for more like I was, take your one to two weeks off after the season and get right back into training. Don’t take months off and gain 20 lbs. You now have freedom in your training and racing schedule but it may be helpful to pretend that you don’t. Put a Fall racing schedule together and get to work! If you have big goals like setting a PR or maybe qualifying for the Olympic Trials some day, I think you need to be willing to take risks. Too many runners keep doing the same training and wonder why they are not improving. You need to increase the stimulus in training, whether that’s a little bit more miles or a little bit more intensity. Small incremental changes are best but if you feel like you’ve plateaued, it can be worth it to take some risks. I’ve taken a lot of risks in my training, some have paid off and some haven’t, but I took them because I wasn’t content with where I was and am passionate about making sure I have given everything I have to this sport before I retire some day. What keeps you in the sport and motivated? I have always had a strong intrinsic belief in myself that is constantly adapting, combined with an addiction to finding my absolute limits. When I was a 16 flat 5k runner in college I believed I could be a 15:30 5k runner. When I was a 15 flat 5k runner I believed I could be a 14:30 5k runner. And now, As a 2:18 marathoner, I believe I can be a 2:15 marathoner. When I run 2:15, I will most definitely believe I can run 2:12. 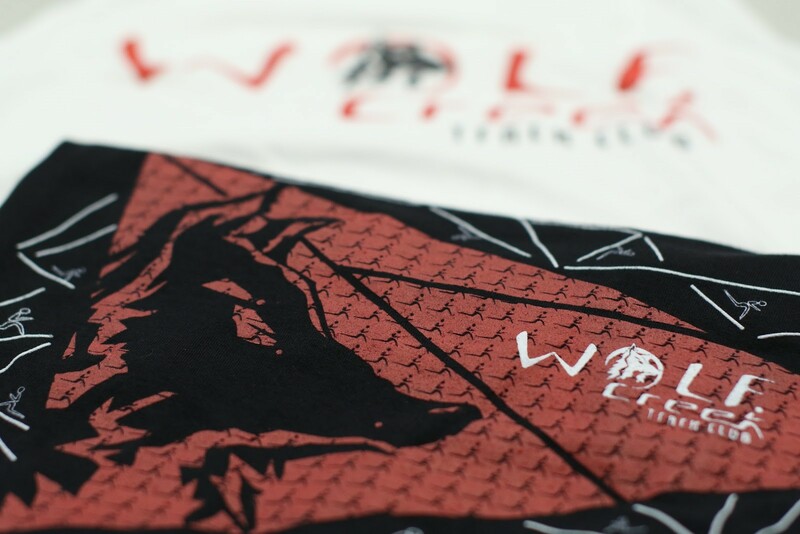 The trend will end someday, I will either find my limits, get too old, or choose to pursue other things in life. It will be difficult to cope with that when the day comes, but recognizing that it’s going to happen helps prepare me for it. For now though, I am just continuing to enjoy the process. Would you like to share your running advice or your running story? 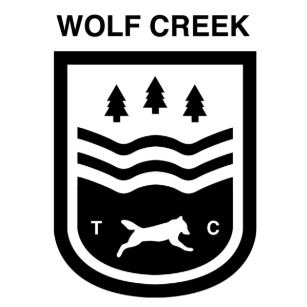 Send your story to info@wolfcreektrackclub.com for a chance to have it published.